top centre: I. D. X.
towards the top left: 51. 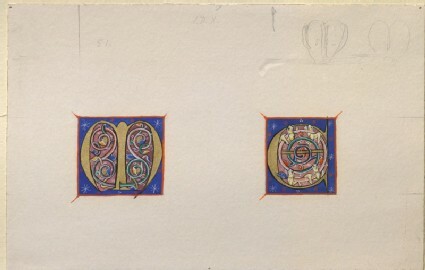 206. Letters of 13th Century. Study from M.S. 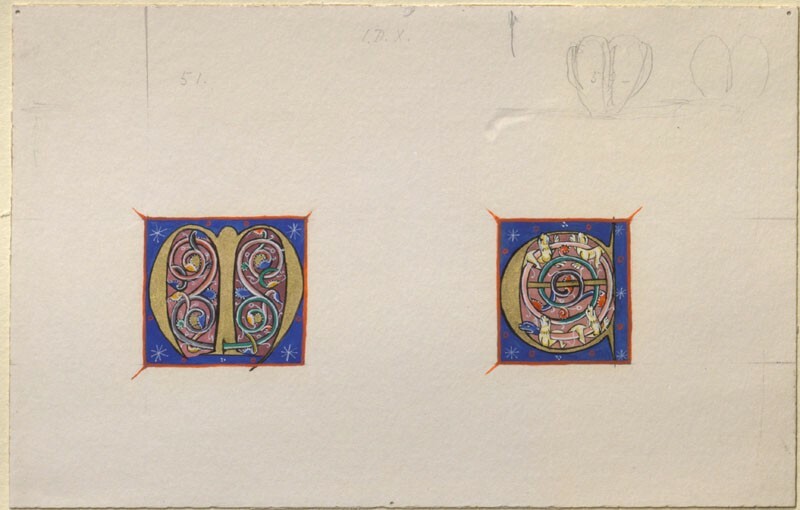 18. Letters of early thirteenth century, of fine style.